Way back in the early 1980s, when I first came to Ohio State, I was on one of those tours they give incoming students. We were in the middle of The Oval when some girl's mom asked, "Why are all these beautiful brick sidewalks paved over now? They were brick back in my day." The guide answered, "They paved all the brick sidewalks over with asphalt back in the Seventies to keep the students from tearing them up and throwing the bricks at the police." The riots of 1970 were the most violent days not just of the Ohio State neighborhood but on the entire history of Columbus. For several days in April and May, the streets of the University District became a war zone. Bullets, tear gas, rocks, Molotov cocktails, bricks, and stones flew as hundreds of police and National Guardsmen battled thousands of rioters. By the time it was done, not a single building on High St. between 11th and Lane had avoided having its windows smashed. Scores were injured, many seriously with burns, gunshot, and stab wounds; hundreds were arrested; property damage was in the tens of thousands of dollars; policing costs soared into the hundreds of thousands of dollars, and the university was forced to close for two weeks. The riots profoundly changed the campus neighborhoods and accelerated a downward slide that the area has only begun to reverse in the past decade. 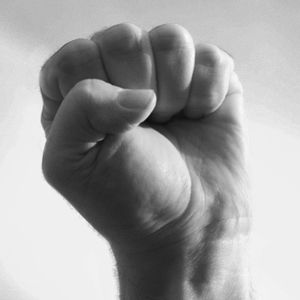 A clenched fist was the favored symbol of the 1970 protestors. 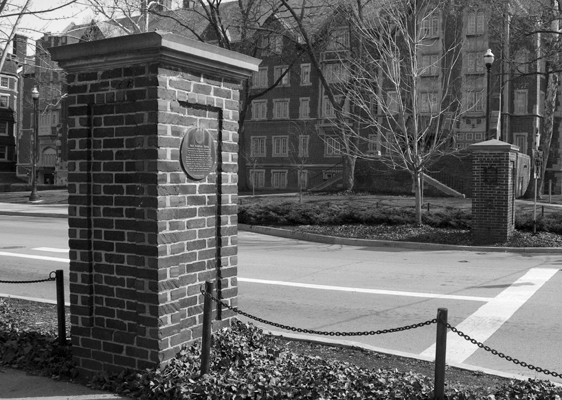 It had already been a rocky spring at Ohio State, demonstrations, disruptions, and civil disobedience were commonplace. Student resentment over the university's outdated paternalism, institutionalized sexism, and malingering racial inequalities was widespread. Students also grumbled about course availability, fees, student services, and access to faculty. These resentments combined with surging opposition to the war in Vietnam, the emerging feminist struggle, and African-American militancy to create an environment of discontent and frustration at the slow pace of change. Most of the 45,000 students sympathized to some degree with these causes but they were more concerned with going to class, completing assignments, holding down part-time jobs, and eking out a social life. A small but significant minority became radicalized in pursuit of change. They came to believe that only confrontation, threats, and dramatic gestures could produce the changes they wished. Some believed that bringing down the university was the first step in bringing down the entire economic, social, and political order. They came to believe they had a right to force their choices on others in the name of The Revolution.. The trouble began in March. On March 9th, a group of African-American students presented the administration with a list of demands and an end-of-the-week deadline to comply. On Friday, March 13, scores of supporters assembled outside Bricker Hall, some carrying bricks. Organizers said the bricks were symbols of a commitment to build but the administration didn't see them that way. Supporters were barred from the building, fueling anger. A small delegation met with the administration in an unproductive 15 minute meeting then, on the way out, held doors open for supporters to flood into the building. Mayhem followed. Windows were smashed, furniture overturned, fire alarms sounded, leaflets strewn about the floors, obscenities and threats yelled. Next door in Derby Hall, a receptionist was roughed up while militants wrecked a data-processing center. Elsewhere on campus more fire alarms were sounded and trash cans set ablaze. The Highway Patrol was called in to clear the building and the next day the University sought an injunction against the militants. 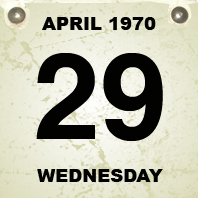 On Tuesday, April 21, it was the anti-war movement's turn. For the second day, a hundred or so radical anti-Vietnam War protestors invaded a job fair at The Ohio Union. The protesters were angered by the presence of the FBI and businesses they accused of profiting from the war. The protesters blocked booths and tables, threw literature on the floor, shouted slogans and obscenities, harassed attendees, staged a mock funeral with a pig's head (which they tried to present to the FBI), accused recruiters of war crimes, and generally made it impossible for the job fair to function. The university demanded that protesters leave. Some did but many didn't. Police arrived and several were arrested. Radical students accused the university of suppressing their free speech rights and outlawing dissent and demanded charges against the arrested students be dropped. 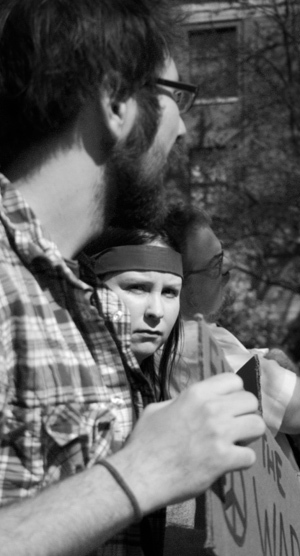 Later that week, Friday, April 24, a grand coalition of campus radical groups called The Ad Hoc Alliance for Student Rights presented Ohio State President Novice G. Fawcett with another list of demands. Some of the demands were reasonable, such as the repeal of the university’s paternalistic policies, an end to gender discrimination, more student involvement in policy-making, and more representation for African-Americans. Black and women's studies programs were good ideas as was a daycare program for female students, staff, and faculty. Some demands were a good deal less reasonable: racial quotas, amnesty for arrested protesters, expulsion of ROTC, divestiture from “war profiteers,” banning of "war research," removal of outside police from campus, and disarming of Ohio State police. In any case, the time table for action was ridiculously short and the protestors were laughably unrealistic about planning and budgeting at a large public university. These demands carried a threat with them. The radicals called for a student strike to begin on Wednesday, April 29 and continue until their demands were met. While inviting dialog on "common goals," the university refused to submit to the demands. Where the riots began. The university gates at Neil and W. 11th. Wednesday was the first truly warm day of spring. Temperatures climbed to 75° under sunny skies. Just a few days before, it struggled to break out of the 50s. Now it was warm. The Oval was crowded and everybody was out and excited and looking for something to do. About noon, a crowd of over a thousand students assembled in front of the Administration Building (called Bricker Hall today). The demonstrators picketed, spoke, and protested but found little enthusiasm for their bid to close down the university. Picketers marched in front of buildings with signs reading "Shut It Down!" but were mostly ignored. Around 3 pm, bands of frustrated demonstrators moved to forcibly close the entrances to the university at Neil and W. Woodruff, High and W. 15th, and Neil and W. 11th. This was a gesture to symbolically close the university. The battle was first joined at Neil and W. 11th near the OSU Hospital. In those days, Neil Ave. ran all the way through campus. Ambulances coming to University Hospital from the north often took Neil Ave. The authorities could not suffer this street to be blocked. Protesters closed the gates and sat in the road blocking the street. Highway Patrol troopers repeatedly ordered the demonstrators out of the street and attempted to reopen the gates. The 200 or so demonstrators refused to move. Troopers tried to force the gates open and were struck with bricks and rocks thrown by the demonstrators. Two troopers were injured. Meanwhile, students poured out of the nearby dorms and swarmed from The Oval to watch the melee. The outnumbered patrolmen called in Columbus Police. Tear gas was used to disperse the rioters.